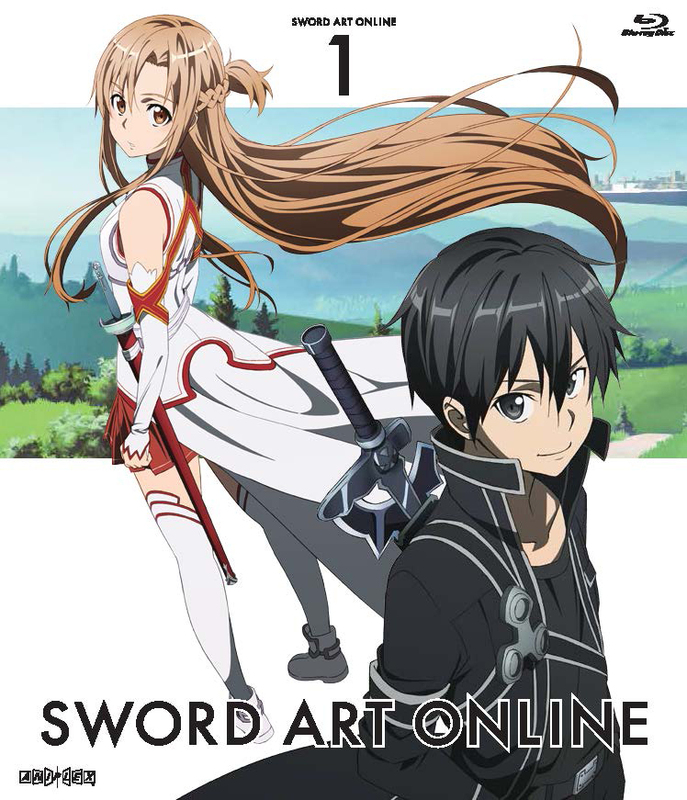 Sword Art Online 1 covers part 1 of the Aincrad arc and contains episodes 1-7. In the year 2022, a next-generation game technology known as "NerveGear" has been developed, making Full Dives into the virtual dimension possible. The world's first true VRMMORPG, "Sword Art Online (SAO)" has generated worldwide buzz, and on its official launch day, one player, Kirito, immerses himself in its virtual world. But Akihiko Kayaba, the developer of SAO, proclaims the following to all players: "This game is inescapable unless all levels are cleared. And in this world, 'Game Over' is equivalent to death in the real world." Special Features: Special Animation "Sword Art Offline," Japanese Audio Commentary, 1st Season Textless Opening, Original Web Previews, Trailer. This set contains the first half of what many consider to be the best arc in the series. Unfortunately, most of the Limited Edition sets for the first season of SAO are out of print so you'll have to settle for the standard editions. The release is pretty basic - it comes with the 7 episodes on 2 BD's, and it does have some reverse artwork on the inside (no characters just scenery). In addition, the menu's are also pretty basic (no animation), but it does have some nice music. If you're a big fan of the series I'd definitely recommend biting the bullet and picking up all 4 sets. This is by far one of the best series I've ever watched and can re-watch it multiple times without getting bored of it! I recommend it to everyone looking to watch a great anime with a great story. A good series that will interest you especially if you like video games. One episode is an emotional one in a good way and the best episode in this set. The rest of the episodes are great with action and is a good start to the series. A must seen and own. Amazing product. Got here for half the price of Amazon. Love this show. #1 in my book for anime. Even if it is on several media sites I enjoy having a hard copy for myself. A huge let down. I had big expectations for this series. I'm all for variance and difference of material to make all genres to be original and the first part of the first season was AMAZING! Then...it went down. The first part was perfect. I was thinking, yes, another great anime where the main characters are tolerable and believable and threw away the typical stigmata based on appearances and gender such as Asuna. She was beautiful, but she was not the usual "damsel in stress" but a strong female that could stand on her own but remain feminine. For some unknown reason, she went from a strong character to practically the cookie cutter damsel that always needs help and unable to take care of herself. There was no handful of overly zealous, skimpy outfitted, and over-sexed females with out of the ordinary measurements that are practically throwing themselves at the main protagonist. And best of all, there was no sister "love"!! But it unfortunately turned that way from then on. It's a shame it turned down that road because the show was amazing then flopped for me.